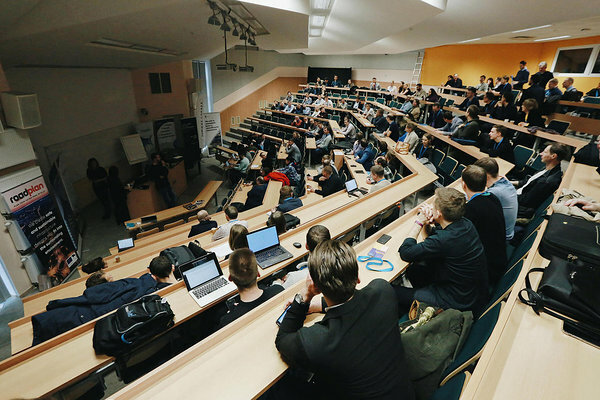 Garage 48 Digital Construction Hackathon kicked off on Friday, April 6th at Tallinn University of Technology with a total of 110 participants from Estonia, Latvia, Finland, Egypt, Turkey... you name it! All of the participants are eager to challenge the way we see and think about the construction sector. Experts, developers, architects, designers, project managers, marketers, they all started working with really amazing ideas and by Sunday evening, with the help of our talented mentors and with the “can-do” attitude by the teams, we surely are going to see surprising results. There were 22 innovative, fresh and even somewhat crazy ideas presented at the pitch-session and by the end of the evening, 11 teams started the hard work on developing their ideas into real prototypes, apps and platforms. 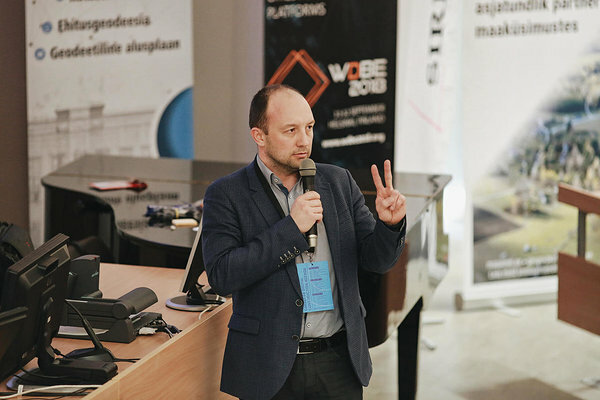 Indrek Moorats, our mentor and a member of the board of Estonian Digital Construction Cluster believes that some of the ideas pitched on this hackathon, can change the Estonian construction sector. “I am very excited and can't wait to see the results on Sunday evening,” he added. A sound insulation requirement app that gives construction tips. Multiple analysed design options for buildings. Pre-fabricated modules to design and build a house. An app that searches and finds elements of construction through QR codes. "Scam a column and see status”. CRM for companies that combines every integration that they use right now to work on their platform. A marketplace to connect clients and designers: management of projects and process of design. BIM file laser projector to visualize where you must install cables, pipes, and shows if there is discrepancies with other installations. A platform that makes an estimation for how much a house/building would cost (energy consuming wise etc). A website that provides more transparency for construction sites to evaluate initiatives from gov. Blockchain.Screen reader support enabled. A proposal comparison software to help people to analyse the best proposal for their construction. Geological Surveys, EHR - Register of Buildings, Square in Pocket, Update MagiCAD, Platform for Construction Pros, Ehituspäevik, Airbnb for wooden temporary living, ArchiCAD for humans, Construction google and the idea how to help customers and companies during the design process. Stay tuned on how the teams are doing this weekend!